An Android developer who goes by the name of "bal00" authored an interesting post on Reddit that might have opened a can of worms at BlackBerry App World. The developer had received a couple of emails about a compatibility problem that had sprung up with his app. He found out that both people were using his app on a BlackBerry PlayBook. At first, he figured they were using an Android ROM on the tablet, but found out that they were merely running the app on the PlayBook after downloading it from BlackBerry App World. After checking on BlackBerry App World, "bal00" found that someone had converted the APK after downloading his app from the Google Play Store, and then published it using a BlackBerry App World account. At one time, this guy had about a dozen apps up on App World that he had apparently stolen from Google Play Store. That number is down to about three now, but the developer is still receiving calls from BlackBerry users who had paid three times the price on BlackBerry from the price he charges on Google. If you are a developer who writes for the Google Play Store, it might be a good idea to check BlackBerry App World to see if someone else is profiting from the fruits of your labor. And by the way, the suspected thief's account with BlackBerry remains active. find the thief and ask for the money. it shouldn't be that hard to trace him. so devs needs to work their butts off and legally port their android apps to the blackberry!! 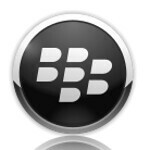 esecially that BlackBerry 10 is coming and it will support android apps!! They dont even need to work their butts off, since it is relatively easy to port the app. Sometimes its just something as simple as converting it from an APK to BAR file, then contacting Blackberry for publishing to App World. Why more developers havent done this is beyond me. Great app, it can help to trace all the stolen money which is stolen by the thief.